Hellyers Road whisky bottles lined up, ready to drink! 1 – Why did Hellyer’s Road start production? Can you tell us a little bit about the distillery? Hellyers Road Distillery is owned by parent company Betta Milk, Tasmania’s second largest branded milk processor. Following deregulation of the Milk Industry in 1994 the then Board of Directors investigated, and fortuitously considered the possibility of digressing into single malt production. There are synergies between milk and whisky production and after the required due diligence was conducted, an approval to proceed was granted. This was a very bold move at the time as single malt distilling in Tasmania was fledgling and the market narrow. A recent renaissance in whisky consumption combined with the excellent quality of Tasmanian whiskies has made the decision quite visionary. 2 – Is there a distinctive flavour profile that you aim to achieve when fermenting the wort and then distilling the wash? Do you also select casks to achieve this flavour profile? Do you tailor different products for different palettes? Our core range of single malts are characterised by citrus tones of lemon and orange. We strive for consistency in this regard using pretty much the same Tasmanian barley strain and employing uniform distilling processes. To us, it’s very important that we maintain a consistency of product so our customers can purchase their favourite Hellyers Road single malt confident that the flavour characteristics they enjoy won’t differ. Outside of the core range which is matured in American Oak (ex-bourbon), we also have whiskies that have been finished or matured in casks formerly housing Pinot Noir and Port. We have also just taken stock of Spanish Sherry casks and will release a Sherry profile single malt down the track. We believe it is the quality of the timber and the time spent in maturation that is instrumental in the finish. Of course having a climate conducive to single malt production, high grade raw products and superb drinking water also contributes significantly to the end result. 3 – Speaking of distinctive products, I have tried the Hellyer’s Road 12 year old and it struck me as a challenging and quite unique whisky with bold floral notes. Are you targeting any particular sector of the market with this product? First of all, allow us to congratulate you on your discerning choice in this regard! We are very proud of the 12 Year which has really benefited from the extra time spent in timber. The fact that we mature our whiskies only in 200 litre casks enables us to develop fantastic aged statement whiskies, the 12 Year being our flagship. Having said that our 10 Year remains the Nation’s highest selling locally distilled single malt. While we didn’t specifically target a sector for this varietal, we are finding that many traditional single malt drinkers are providing very positive feedback, which is most gratifying. Overseas travellers shopping at duty free outlets have also taken a very strong shine to the 12 Year, possibly because the canister presents so well. Once they try what’s inside however, the aesthetics of the presentation become secondary. 4 – While Hellyer’s road 12 year old is pretty challenging on its own, it is one of my favourite whiskies to match with either a cigar (with a Sumatra wrapper which seems to offer complimentary floral notes, for the cigar snobs among us), or a blue cheese/goats cheese. In one sitting and without much notice I finished four drams of Hellyer’s Road 12 year old and a Rocky Patel Decades, and went to bed with a big smile on my face. Would you agree that Hellyer’s Road is particularly well matched with food? What foods would you recommend Malt Mileage readers try with particular Hellyer’s Road expressions? 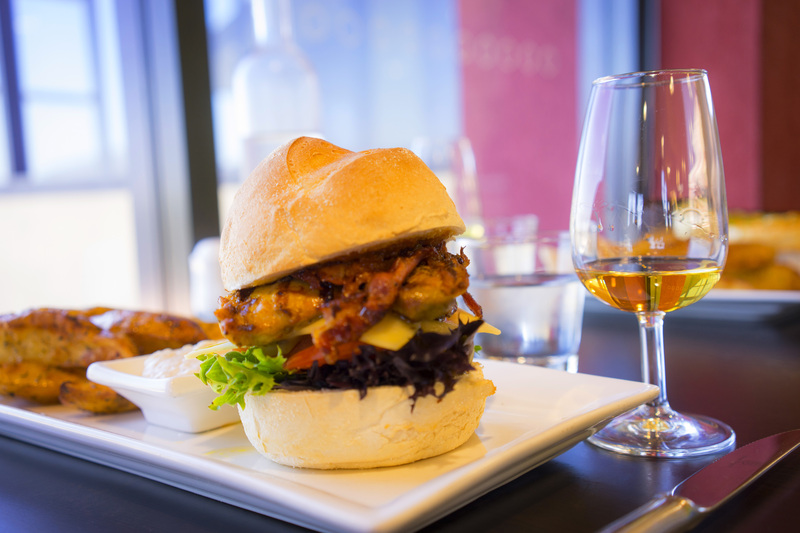 Any of our single malts can be matched up with complimentary food types. Recently we held a five – course degustation dinner at our Visitor Centre in Burnie with each dish being paired to a Hellyers Road single malt. The Hon Jeff Kennett AC was our guest on the night and proclaimed that our distillery is “on the verge of greatness”, which was most humbling. On that occasion our 12 Year was matched with hot smoked Ocean Trout, baby potatoes, celeriac remoulade, crisp green leaves, horse radish cream and citrus oil while our Pinot Noir Finish varietal was teamed with a seared duck breast and orange marmalade, creamy carrot puree, sautéed spinach, tea soaked currents with pinot jus. We intend doing more food and whisky events in 2015. 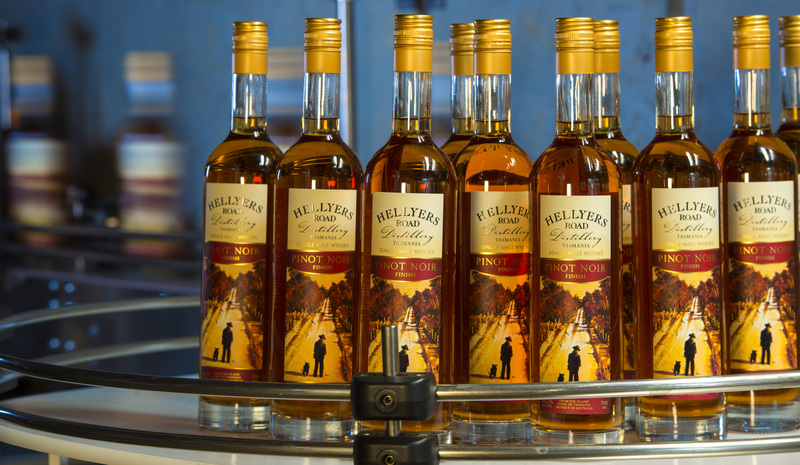 5 – Why do you think people choose to buy Australian whisky, including Hellyer’s Road? Australians are generally a pretty patriotic lot so if an Australian made product is worthy of their hard-earned then they will lean towards it, as long as the quality matches the price point. 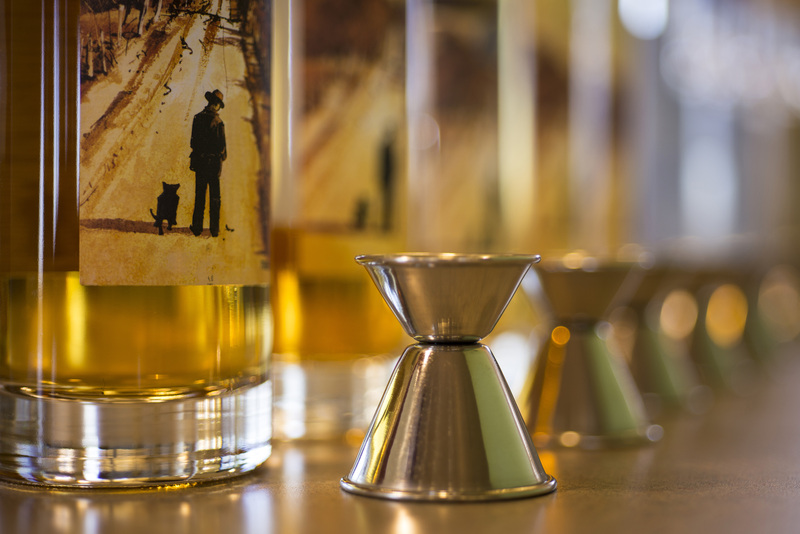 Tasmanian single malts have certainly grabbed the attention of whisky drinkers in recent times with a number of major awards from around the world going to our distilleries. That has driven the reputation of Tasmanian single malts to great heights and deservedly so. Tasmania has some of the best drinking water in the world, a pristine environment and a climate that is not unlike parts of Scotland. Add to these things our high quality, locally grown grain and you can see why people are gravitating to our whisky. 6 – As a whisky blogger sometimes I need to ask some hard questions. I notice that the Hellyer’s Road 12 year old currently sells for $99.50 and the “Original” for $80.50. I see the 10 year old is $88.99. That is very good value, because most Australian whiskies sell for over $100 and usually much more – and in some cases they are no age statement whiskies! 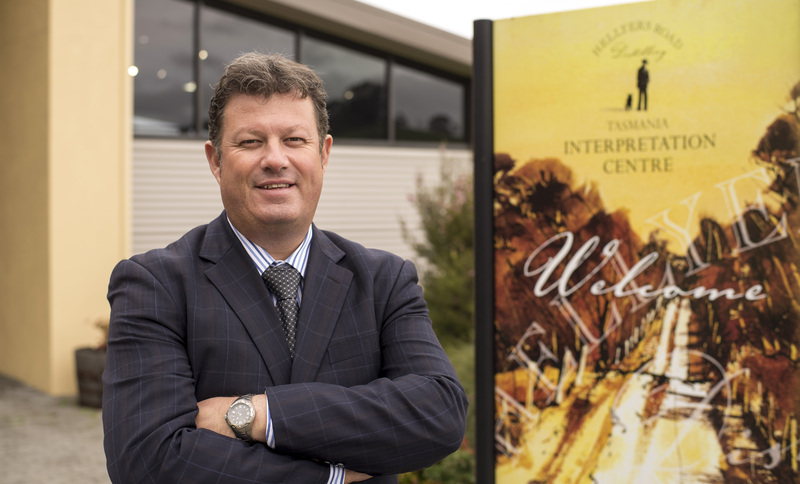 What is the idea behind the Hellyer’s Road price point and how can you afford to sell whisky at that price, given the high taxes on alcohol production in Australia? It may look like we are the martyrs of our industry by sacrificing margin to drive sales but really this is not our intent. We are happy to proclaim that we over deliver on value and are happy to sacrifice margin knowing that the Hellyers Road range is price friendly and therefore attainable to a wider market. We can do this primarily because we are the Nation’s largest single malt distillery with a sizeable inventory and guaranteed continuity of supply. We presently hold over 2000 casks at Bond and while we consider our single malt range to be premium, the price point doesn’t necessarily reflect this. We believe our market situation is very healthy and most of the Nation’s major liquor wholesalers would agree. 7 – What three words do you want people to associate with Hellyer’s Road (not including “bloody”, “good”, “value”!)? Well apart from those three, which typify our whisky nicely, I would have to say that, classy, smooth and consistent are attributes people could definitely relate to when enjoying a Hellyers Road single malt. 8 – Do you have a favourite whisky? Not that I’m biased of course but I sincerely love our 12 Year and I’m very proud of it. Outside of Hellyers Road I really enjoy the Glenlivet range which I find very light and consistent. Most of the Tasmanian whiskies are very easy to consume too. 9 – What made you become a distiller? 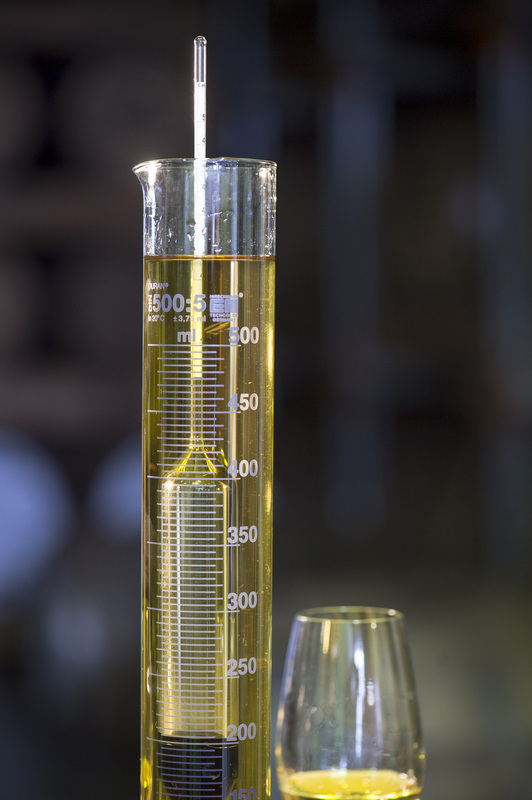 Have you noticed Australian whisky change over the last few years? If so, how? My employer, Betta Milk actually steered me to distilling! My training was in Food Science having attained a Bachelor of Food Science degree from the University of Melbourne. I would never have dreamt back then that I would one day become a distiller of single malt whisky, let alone for the Nation’s largest single malt distillery! As mentioned earlier in this interview, there are definite synergies between dairy production and whisky distilling so the transition, while complex, was not as daunting as I first imagined. These days I wear two hats managing both the milk and whisky operations. The biggest change I’ve seen during my time in the industry is the re-emergence of single malt whisky as a drink of choice. We are seeing a whole new demographic enjoying and appreciating whisky right around the world. These are exciting times for us! 10 – Any chance of reviewing the Hellyers Road Hellyers Legacy The Gorge Single Malt and the Pinot finish? Of course, we will be only too happy to provide samples of these two whiskies. The Gorge which is a limited edition release was adjudged Australia’s second best single malt earlier this year in the MWSOA Awards while the Pinot Noir Finish was recognised as Best New World Whisky in blind tastings conducted at last year’s Whisky Live – Paris. I’ll be surprised if both of these don’t hit the spot! 11 – Do you have anything else you would like our readers to know about you or Hellyer’s Road? Whisky lovers can enjoy a visit to our Visitor Centre in Burnie which currently attracts over 20,000 people each year. We have a delightful café, cellar door sales, a tasting counter and guided distillery tour (Whisky Walk). A unique aspect of the Whisky Walk is the opportunity for visitors to pour and wax-seal their very own bottle of cask strength Hellyers Road Distillers Choice whisky. The centre is open daily from 10am to 4.30pm. Perhaps we can entice you to visit us and experience our journey, first hand?